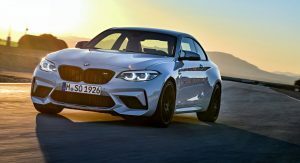 BMW unveiled the 2019 M2 Competition a month ago and we’re finally learning how much the model will cost when it arrives in the United States this summer. 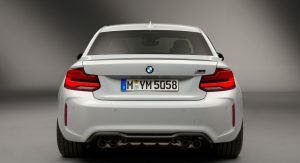 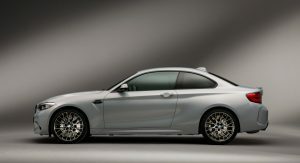 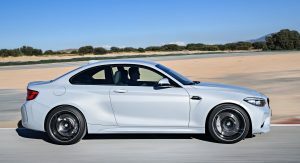 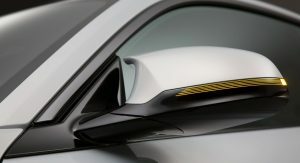 According to BMW Blog, the car will start at $58,900 which is a $4,400 increase over the outgoing M2 Coupe. 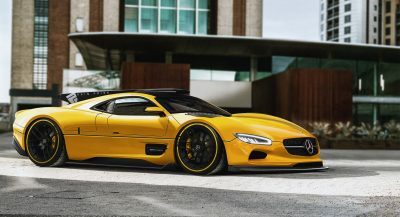 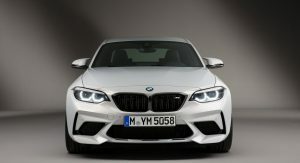 The model will be offered with an assortment of different options including a metallic paint job ($550), a moonroof ($1,050) and a seven-speed dual-clutch transmission ($2,900). 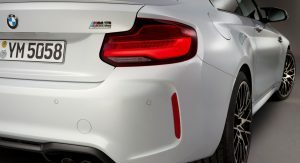 If that hasn’t busted your bank account, a handful of packages will be available. 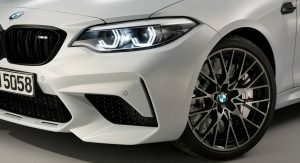 The Executive Package will reportedly cost $850 and include adaptive LED headlights, a heated steering wheel, a wireless smartphone charger and a speed limit monitor. 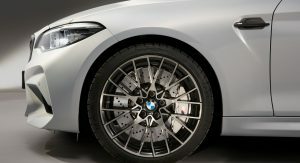 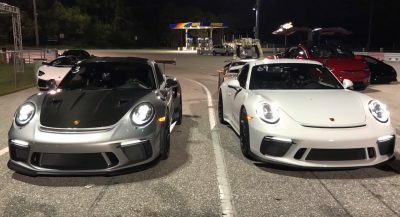 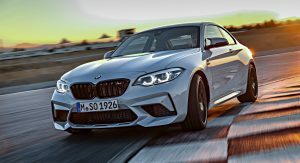 Buyers looking for something more performance-oriented can order the $2,500 M Drivers Package which increases the car’s top speed to 174 mph (280 km/h) and includes a voucher for a track training course at the BMW Performance Center in Thermal, California or Greer, South Carolina. 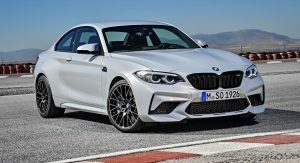 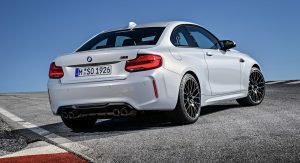 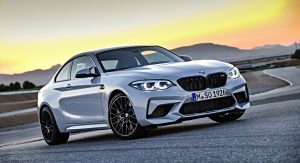 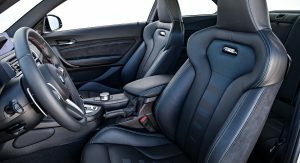 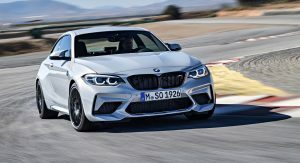 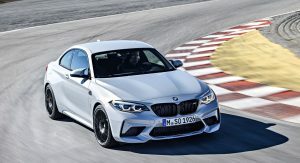 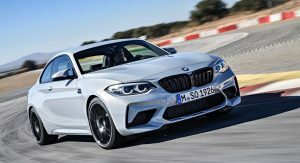 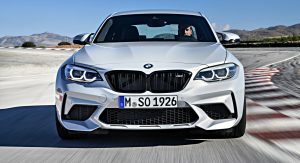 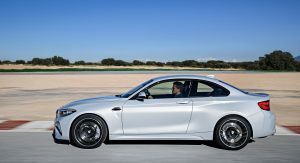 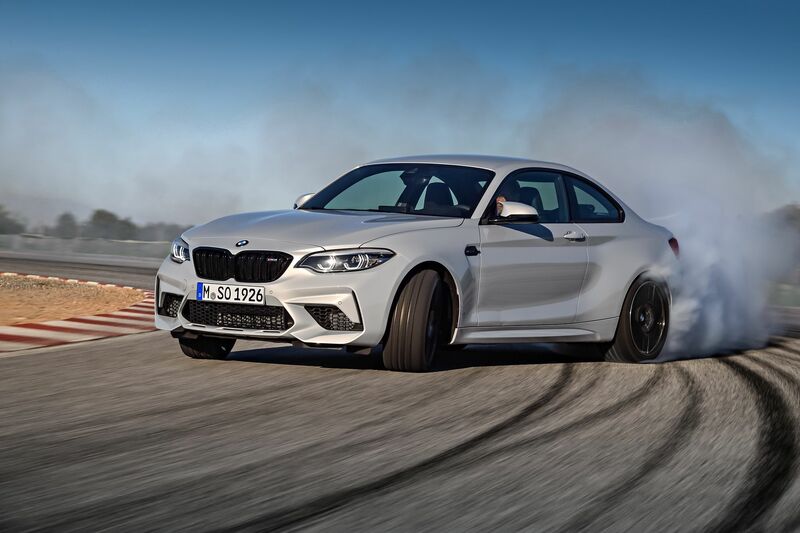 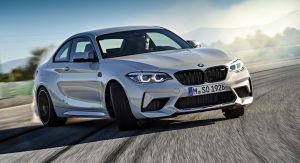 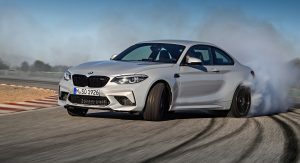 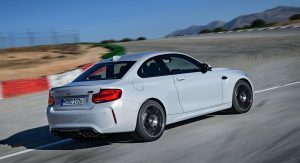 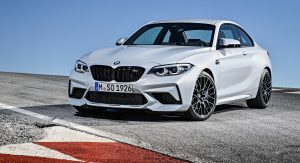 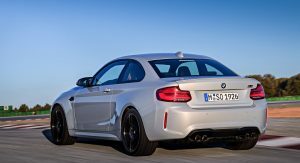 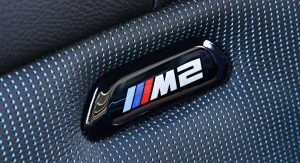 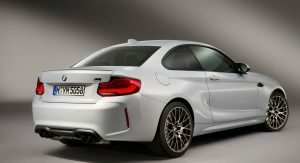 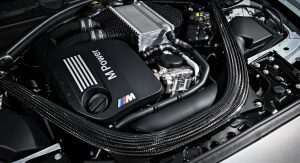 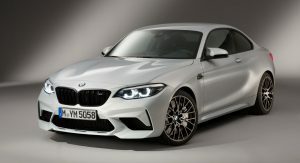 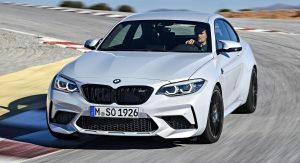 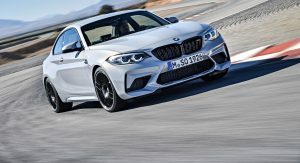 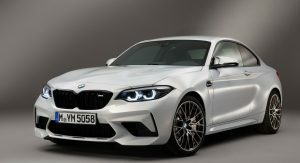 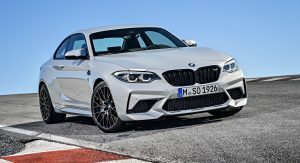 While the $4,400 price increase is tough to swallow, the M2 Competition is a significant improvement over the M2 Coupe as it features a new twin-turbo 3.0-liter six-cylinder engine that produces 405 hp (410 PS / 301 kW) and 406 lb-ft (550 Nm) of torque. 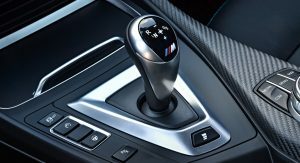 It enables the car to accelerate from 0-60 mph in four seconds when equipped with the optional dual-clutch transmission. 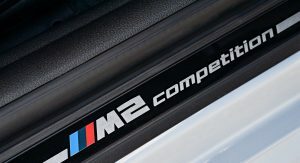 Besides the upgraded engine, the M2 Competition has an upgraded cooling system with three radiators and an additional oil cooler. 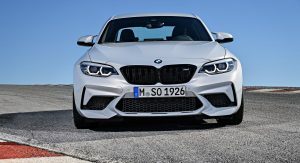 Other updates include a carbon fiber reinforced plastic strut tower brace, a revised power steering system and a beefier braking system with larger discs. 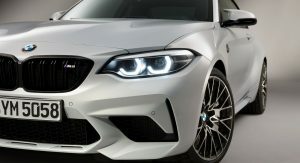 The model also has some minor styling changes including a new front bumper, aerodynamic mirrors and restyled 19-inch alloy wheels. 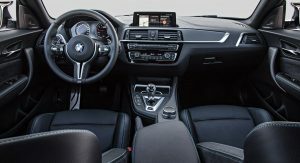 Inside, drivers will find new sport seats and a sport steering wheel with M buttons. 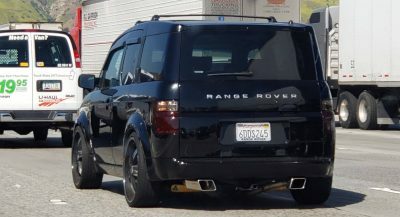 Prepping for the new grille. 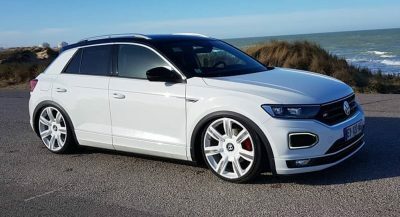 A car for real men. 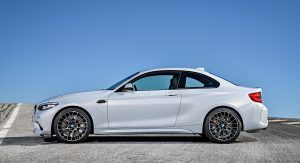 Is there a way to download all the pics without clicking through each one and hitting download? 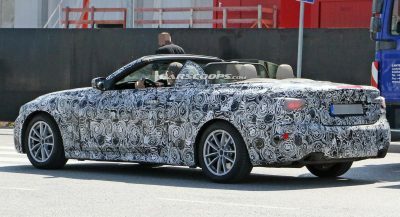 Small gripe but that horrid steering wheel has to go.